I’m an apiarist & will one day win lotto & buy a vineyard. Soccer, touch footy & after multiple ACL & shoulder recons a long period of nothing. After the birth of my daughter and chronic back pain I decided to make some changes. Wanted to be a healthier dad and improve my own mental, emotional & physical health. I needed a team environment that was going to stretch me & keep me challenged. How has CrossFit changed your life? From monthly chiro treatment for chronic back pain, I now get treatment every 4 months. He is amazed at the results and admits he was wrong in recommending I don’t do it. 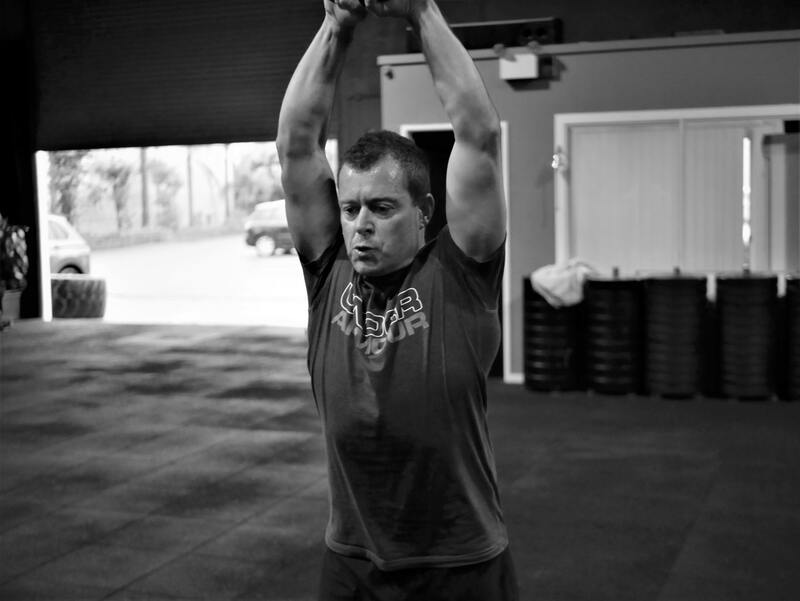 What’s your favourite WOD or movement? Anything that short guys do better lol. Squats, deadlift & push press. To take what I’ve learnt from “Cut The Crap” and apply long term. Continue to get stronger and improve overall health. What do you love most about the CF Hunter community? Always encouraging, have a laugh (even at 5:30am) and push each other to be better. Love seeing others make gains and I also found a dog sitter there lol.